It may be a good thing to write this to you rather than to call at this time of night before the morning. My body wakes me from jet lag at odd hours after a two-legged, 24 hour flight home from lecturing in Australia. Marvelous huge flying machines carried me over the Java and Timor Seas under a full moon reflected in a wide band on the water below, from time to time interrupted by islands. Few lights shine up from there. Later, after the stop in Bangkok, it would get cloudy over Pakistan, Afghanistan, Turkmenistan, Georgia and then Europe. Only at one place was that cover open, just as we went over the Eastern edge of the Black Sea, revealing a string of lights from the towns along the shore. In one of these clusters, near Tuapse in Russia, I had given a week of lectures a number of years ago. Now I do not know how much of the spiritual light remains there at this time of turmoil. I shall return to Russia in early November for another Schaeffer Foundation seminar, probably for lectures and discussions with people interested in the importance of Christianity for politics, economics and education. For the teachers, my previous audience, are at work and, with the hard times now, too busy providing for their immediate needs. This new group of people recognize the need for a moral change in the country and want to figure out how to go about it personally. Staffan Johansson, who is associated with us in the Foundation, will join me there. Please pray for us, that weff may know the Lord's grace and see his direction and power in the talks. For the 'natural' assumption among Russians is that a little religion, or none, will fix any problem. For the problems persist, religion and state have failed them. Any question of the existence of God, possible knowledge of Him and steady and personal faithfulness to God is out of the question in a heritage, where 'science' for the secular and 'religious magic' for the spiritual man were the basic parts of their world views. But let me take you back to the early summer, when you last heard from us through the last letter and then the issue of FOOTNOTES, in which I discussed the question of the Christian and authority, entitled "By Consent of the Governed". That turned out to have been a timely piece in the current problems in the American administration. While I regret the decision by the Congress to expose the behavior of the accused to the wider public around the world, the denials of wrongdoing to that same public during at least seven prior months called for some factual confrontation. In April the Schaeffer Foundation directed two weeks of Biblical studies in Omsk, Western Siberia. Staying in a hotel in town, Jesse James, Linda Dunshee and I made it known that we would teach Christianity from the Bible and answer questions each day from 3 - 10 PM to anyone who wanted to come. We invited them to stay for dinner, which may have drawn some. But for the most part, we had groups of up to 35 people each day, gave lectures on the Bible and its teaching in many areas of life, followed by lively discussions. I also spoke in a church and addressed an evening of students who meet as the local IFS (Inter Varsity) group. The German Lutheran pastor welcomed us warmly and invited us to return to have such gatherings in his church in the future. In the mornings we accepted the invitations of several university professors to address their German and English foreign language classes. (They are always eager for native speakers to practice their skills). I was warned, in a polite manner, not to bring religion into it. But then, since the subjects ranged from "The Spirit of Entrepreneurship' to 'Youth Problems in Your Society' I could not but refer to underlying philosophic and world view issues, differences and perspectives. The students always found that fascinating and pursued us lecturers with questions, while the professors nervously held their peace. In May I spoke for the graduation class of the Orlando Institute, preached in two churches and was privileged to attend Hannah's graduation with honors in Social Work from New York University. We met with our NY friends in the study group we had for all the years of living there. When Debby and Isaac returned to Switzerland, I continued to a major conference for foreign students in the US at the University of Minnesota. I lectured on "Cultural Appreciation and Cultural Change" and led three work shops with European students, who had become Christians while in the States to prepare them for the reality and the challenges of Christians in Europe. From June on we had students here with us in the Summer Study Sessions of the Francis A. Schaeffer Foundation. Wonderfully for us, most of the students this year came as the second generation. Their parent(s) had studied with us and encouraged their children to spend some time with us. Alice came back after more than ten years to sort out questions she faces in her life. Erik helped wonderfully in many areas and enjoyed his studies here before starting his first teaching assignment in New England. Petra came for two weeks. Julie returned after months of studies in France, with many questions and observations from that. John joined us from Vienna, where he teaches history and Bible and a few other subjects. One night during a picnic by the side of the lake we met Ian from St. Louis, when he asked us for a glass. Conversation with him brought out that he had attended church with my brother, and we invited him to come to see us. Naomi spent ten days with us, all she could afford from her savings, wishing to come and study with us here. We followed our usual program with long meals for conversations, an occasional trip to one of the beautiful places to discuss world view issues with the illustration around us in villages, churches, Roman roads. We had regular services in the Les Posses church or went to the English church in Villars when I preached there. While we were sorry that the Russian students never made it out here due to visa complications and a declining ruble in Russia, we did have serious discussions, visited a few places and worked on the house next door. You will remember that it needs much work, since it has no heat, poor plumbing and many spiders. It was built in 1682 and has recently been ruinously lived in by the employees of a bankrupt builder. But there is charm, potential and a real Swiss experience to be had with a lot more effort in the coming months. One Russian did make it to us, and he brought an English friend to Gryon for just a day of intense discussions, because of the help he had received himself on the day we spent together in Russia last year. We talked about the Bible, Christianity, the flaws of Plato and Aristotle and their influence on the church and the need to return to the more creational Jewish perspective of the Bible. Jeremy is leaning to Buddhism, admires Tibet and has looked around enough to see the pain and suffering in the real world. Yet after the day with us he is very troubled about his conclusion, since he never heard the Bible opened up in the way be found us do. Pray for him, as he begins to study for himself. The Lord must remove all the hindrances built up over years in this man's heart and let the light of the Gospel shine clearly. In July the family went to Italy for two weeks together with Edith Schaeffer to give her and us a rest, the familiar sun, olives, the sea and good books. Naomi and Micah joined us for the two weeks as well. Marla kept the house and the cat for us during this time, the latter giving birth to a litter of four during our absence. My side of the family, my sister from Munich and my brother from Australia, also came together with some relatives for the burial of my mother's ashes and the subsequent difficulties of sorting out her things, pieces of our childhood memories and emptying out her flat in Austria. Gregg and Samantha were an enormous help there, when they gave up a long weekend to help us. August brought the opportunity to teach a course on a Biblical World View to French speaking mature adults in a Bible School nearby. The Lord gave me great pleasure and confidence, but not always verbal or grammatical accuracy for that. It was well received and gave rise to many interesting comments. There is just so little intelligent presentation of the Gospel in the churches elsewhere. The confident outlook of Christians in times past has given way to a shy affirmation in terms of personal faith, the telling of nice stories and the safety of repeated gatherings among the largely the same 'initiated' people. I also addressed a group of German speaking Christians for three days in the northern part of Switzerland on contemporary issues facing the church later in August. It always amazes me how little people recognize the world we live in and the results of a basic shift of perspective, new values, altered ways of seeing and changed expectations in our generation. Distinctions between good and bad are readily made, but without considering how much the times themselves, the teachings received in school and church, the way events are reported and analyzed effect both world and church. People look for quick solutions and then end in tremendously disappointing situations, when change does not just happen, is not only good (though most seem to think that change is always good) or when people do not want to listen to anything further than sound bites, slogans and personal opinions. In September I gave a series of talks on 'The Roots of Poverty' as a part of a course on a Christian perspective in YWEM, Switzerland. It is interesting how many of the Schaeffer contacts in and out of the immediate circle of workers are drawn on to address such issues. I followed Ellis Potter and Vishal Mangalwadi. Pierre Berthoud had been there the week before. There is a network of people, who genuine support each other in the wider discussions, able to shed light on central issues of faith and life in the current debate. In these discussions two subjects surfaced repeatedly. The matter of Swiss dealings with Hitler Germany in the past, specifically the question of Nazi gold has affected Swiss self confidence considerably. It has lead to a review of history and assumptions of innocence and provoked with many a cynical view of traditions. I always point out that Antisemitism is a European disease, common in France, Germany, Switzerland, in England and the US throughout the 19th and 20th centuries. Each of these countries became guilty before their participation in Nazi efforts. Antisemitism has deep roots in the teaching and the practice of the church. In the 19th century it also became the reaction of the state, which had replaced the church as formative in public life. The modern state has little room for people, whose primary allegiance is not to the state, but to their God. Jews who did not 'assimilate' by loosing their Jewish distinctive where suspect. The International Herald Tribune pointed out during the past year that Jewish gold still today lies in the Federal Reserve Bank of New York, in Canadian treasuries and in Great Britain as well as in Switzerland. Europe and her children as a whole had become guilty of benefiting from the expropriation of Jews. From that perspective, Senator D'Amato's efforts are at best one-sided, at worst politically cynical and far from morally motivated. While it is good for Switzerland to shed the mantle of self-righteousness, we all need to work through our past and review, repent, and repair. The other question relates to the pre-occupation with the president's moral performance. Europeans have a hard time seeing the weight of immoral behavior in light of far more pressing national and international concerns. Suspicion about American Puritanism raises its head readily. One can call this a more cynical view, but it is perhaps somewhat more realistic about human beings. It is born from the realization that we are all sinners and that we don't expect public officials to be moral examples in their personal lives. This is not a hidden form of approval of immorality, but a recognition that one cannot expect perfection in any area of life. It is true that the English have had multiple scandals (Profumo et al. ), which often lead to the resignation of public officials. On the continent that consequence is rare. The person is judged on what he does according to his political mandate. Perhaps the real shock in Europe has been that the President would have an affair in such ways with women of such little intellectual or cultural weight, not that he had an affair at all. The latter is considered immoral, the former is stupid and scandalous and in the long run a far more serious problem in coming to a judgment about the character of the office holder. America here again suffers from expectations that often have been and are too high about individuals and society. Wishing to build a city on a hill, a "new" world with "new" people, creating a "new" world gave rise to the assumption that it can be accomplished. At this point, wishful thinking leaves the plane of reality and floats on the wings of an ideal, a dream about perfection. The inheritance of the enlightenment has always been that the dream, the image of reality is more real than the limited possibilities within a broken sinful world. Perhaps the weightier matters uncovered by the public testimony will lead to more people realizing now how far the 'image' has taken over from reality. That should also include the realization that political language, legal definitions, theological and cultural sound bites are easily available and are being used to manipulate whatever audience, so that some others than the "right" would be provoked to object. When Jesus says that your "yes" should be "yes", your "no" a "no" he elaborates the commandment about not bearing false witness. There is a truth, not merely personal visions, perspectives and interpretations. In a more general way we harvest here what came from the seed of too much a personal emphasis in philosophy, the life of the church, the ideas of post-modernism and the emphasis on 'my rights' without obligations to a larger reality, to truth and the God of truth. The current tragedy of the debate is in many ways but a most visible expression of the pursuit of happiness, as that term is understood by the latter part of the 20th century. Where the Jeffersonian perspective understood the term to mean freedom from English intervention in the life of moral man, our generation understands it to refer to rights to play out our vision of god, the devil or any other fantasy. In another slice of life, we very much enjoyed the exhibit of paintings by two young Swiss men, whom we have known since their childhood. Stephan and Phillipe Fretz were in school with our children, were members of the church that used to be in L'Abri, and have developed into very good, respected and noticed painters, each in their own direction. Common to each is the appreciation in their work of a world in which the genuinely human, Man, is not a stranger. Whether thematic or more subtle, there is room for the image bearer of God in a world of nature, frustration, evil and joy. Against the temptation, and the suggestion of their former teachers often, to 'let it all hang out, to let themselves go', their work is discipline, effort and purpose to put the human into our lives. There we belong, are addressed, see reflection. Between all these activities of the work with students, speaking in different places and seeing Hannah settle into her work with the International Social Service in Geneva and into her apartment in Lausanne, we put final touches to Francis Schaeffer's book "The Finished Work of Christ", which Crossway Publishers brought out in September in a beautiful edition. It is an edited transcription of the widely used Romans studies, which Dr. Schaeffer did in the early days of his work in Lausanne among students. I was struck by the Biblical content and tone of language in these studies. As a friend of mine said: "Noone speaks like this anymore in today's Christian life." The emphasis on the need for justification, the reality of a life of believing God, of not being ashamed, intellectually and practically, of the Gospel have a solid sound to them. They stand in contrast to so much emphasis in contemporary teaching in the church on feeling close to your friend Jesus, feeling better about yourself and feeling righteous about your "position". I also saw that Edith Schaeffer's "Affliction" is available again from Baker. It is the only book I know of that is realistic to life in a fallen world and Biblical in the balanced understanding of why there is pain, suffering and death in the world. Neither are God's goodness and power denied nor unrealistic promises made about how to have a better life. "The God Who Is There" has also just been republished with a foreword by Jim Sire from Inter Varsity Press. It remains the book through which a whole generation of Christians has been enabled to understand the thought currents of our time, to remain solid in their Christian belief and to be able to kindly and compassionately speak into their culture. 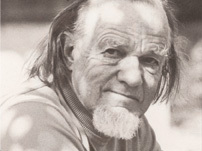 As Schaeffer always encouraged us, other authors have fleshed out these ideas, gone into more scholarly presentations; but Schaeffer's book, based on a week of lectures in Wheaton College in 1966, has opened up the world of ideas to Christians who were eager to understand the cultural context in which we live and who needed to break out of the ghetto of what had become often an anti-intellectual fundamentalism. When I followed an invitation by the Australian L'Abri to come at the end of September for lectures in Sydney, Adelaide and Canberra, I encountered again the same interest in ideas, a desire to understand and to honestly wrestle with God and man in Christians desiring to follow with heart and head the word of God in all of life. The Schaeffer books have been through the years a source of much and repeated encouragement for many of us, who want to continue living the faith with integrity, struggling to understand the calling to be a human being in a fallen world in all its dimensions under the Scriptures. The audience in Adelaide was mostly our age and a bit younger, took many notes and discussed well the implications of what I lectured on. A number had been with us in years past as students. I was warmly welcomed by distant friends. In the context of studying a Christian view of the world we treated subjects like "The Search for Meaning in the new Millennium", "Coherence in a Post-modern Age", "Why this is not God's World" and in Sydney also some of the lectures which appeared in earlier copies of FOOTNOTES: "The Islamization of Christianity", "Christian Affirmation and Transformation of Culture", "Is there a God after Auschwitz" were some of the titles, which Marla in Pampa should have available as copies on tape any time soon. In Canberra our friend Millie Paton organized an evening lecture in a Baptist and another in an Anglican church. Once again it proved wrong to assume that Australians are only interested in the beach, work and a beer. That had been the warning to us from outside the first time I went there in 1980 and then again in '82 and '85. In fact there are many folk whose hunger for the deeper and interesting things of the Gospel is genuine. Their struggle is similar to ours within a society debating all the same modern problems, from meaning to multicultural implications resulting in moral relativism, from the real effects of globalisation to those of the entertainment industry on personal lives and the life of the church. Back home in Gryon Debby will start a Sunday School for Isaac's age every Tuesday. She also teaches several hours of English a week to children placed in a home near us. Isaac is enjoying fifth grade in Villars, lunch at home and the plays and games with his friends. We see our children and grand-children often. We miss Naomi and Micah, but are in touch frequently. Please pray for us, our work and for wisdom in the many requests we have for help. As I close this letter I ask for your prayers. I am preparing to return to Moscow and Kiev for two weeks of lectures in a different context than before. The schedule looks full, much to my pleasure. As Russia is reviewing much of what has taken place in the last eight years, there will be some who will listen with greater care and discernment than what was expressed in the earlier enthusiasm. That change is a good thing, for rather than being thrilled by something growing at all, there will now be the need to discern between the wheat and the tares. Warm and personal greetings in the Lord, whose coming to earth gave us access to glorious reign, now and the one to come.